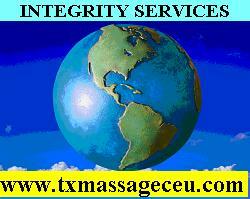 Watch our Introductory Video on our Six Online Texas Massage 12 hr CEU Classes. Click the Play Button. Copyright © 2012 INTEGRITY SERVICES, TX, USA. All rights reserved.